Heal your energy. Raise your vibration. Manifest with ease. Welcome, beautiful soul. Can you relate to any of the following? You're ready to shine your light on the world and make a real dent in the universe, but fear keeps pulling you backwards? You want to release the energetic weight that is holding you from living and feeling freedom and bliss? You've tried manifesting, but your dreams seem to take forever to manifest, or they don't at all? You know you are meant for something more, but you aren't sure what that is? You worry about the future, and need clarity? Thinking positively just isn't enough! You may be no stranger to fear, and all of the things it can control. Fear fuels worry, uncertainty, doubt, stress, regret, and confusion. Fear is a heavy vibration that weighs down your soul, keeping you from truly living. Our society is predominantly ran by fear. Think about all of the fear-based things you see - on the news, in social media. What we focus on expands, so if we focus on the fear that we believe to be all around us, it will consume us. The great news is that you can radically shift away from fear, to create a life you love full of purpose, happiness, joy, fulfillment, and love. We are beings of energy - electromagnetism to be exact. Our energy is literally a magnet for our desires. Quite often, past experiences, subconscious programming from childhood, or negative thoughts can become stuck in our energy fields, which prevent us from reaching higher vibrations. 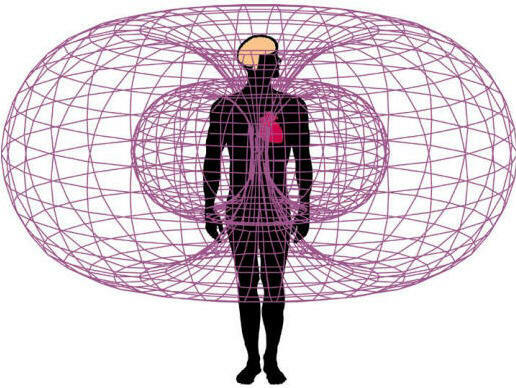 The Institute of HeartMath has scientifically proven that emotional information is actually encoded into our energy fields. By learning to shift our emotions, that’s changing the information we’re encoding into the magnetic fields radiated by the heart - and that can impact those around us. Heal your energy to transform your life. Your energy field is thought to contain 7 main energy centers, often referred to as the Chakras. The flow through your Chakras is what creates your dominant vibration. It is the channel of creation. When an energy block exists in one or more Chakras, it can bring down your main frequency and block you from creating/receiving your intentions from the universe. Healing energy blockages within the Chakras frees you to vibrate high and manifest with ease. When you clear your channel of creation, you automatically come into alignment with your soul's highest good. Are you willing to spend more precious time hoping that "maybe one day" things will get better if you just wait it out? 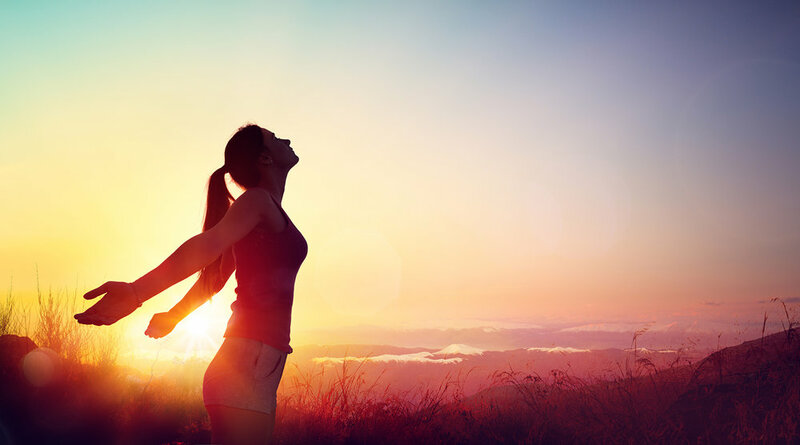 Are you READY now to feel free, happy, abundant - living in complete alignment with your soul? You are worthy of joy, happiness, love, purpose, fun, and freedom. "I just finished doing the heart chakra opening meditation and wowwww! That’s been the most powerful one for me so far! Loved it! I was visualizing the things I needed to release as small balls of light and they were coming out of me and the Universe took them and filled me with divine white light. It was amazing!" "I’m literally crying right now. I was holding so much weight I didn’t know I had. I’ve had anxiety for years. This program made my whole body feel at ease. I had no idea I could feel this way! Thank you so much!!" - Melody J. "I've just completed the Heal into Love program and I feel amazing! If you haven't done it I fully recommend it. This was definitely divine timing at its best...I was feeling so drained and anxieties were creeping in, now I feel like I've got new batteries and I just want to hug everyone! Thank you so much for creating this wonderful program." - Rachael B. "I watched that movie The Secret, and tried to look on the bright side of things. Something always came up and got in the way. My car battery died, there was a leak in my house that flooded the kitchen. I didn’t realize it was my energy that kept attracting these things. I feel so much happier now - and my mom even noticed that people were staring at me as I walked by! I know it was my vibration!" - Martita L.
"I listened to the heart chakra and solar plexus chakra recordings after my whole existential funk and honestly I felt much better after listening to them. I can’t explain why or how but I feel “lighter,” less burdened." - Nikki D.
"I just listened to the third eye chakra one and wow!!! It was exactly what I needed today! I diffused frankincense during since that's what was recommended plus it's my favorite." This Crown Chakra clearing will connect you to soul, in order to receive guidance from your true self. Together, we will access your subconscious mind in order to install new beliefs of self-worth, connection, trust, and intelligence. During this healing, we will clear any energetic blocks related to your spiritual sight, accessing your intuition, or receiving your spiritual gifts. 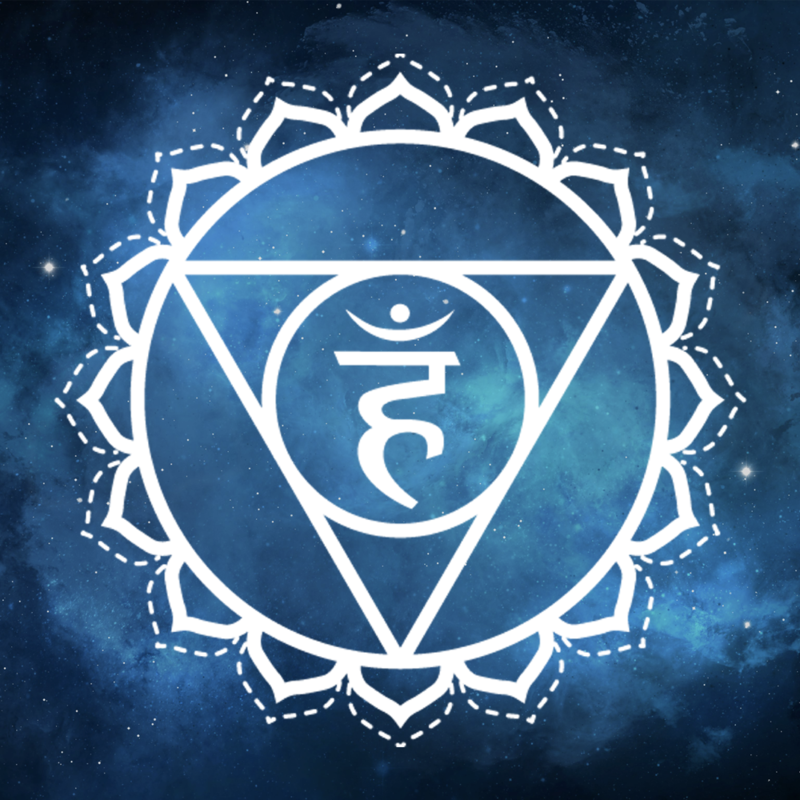 Here, we will heal any energetic blockages within your Throat Chakra. Afterwards, you will feel free to speak your truth, communicate effectively with others, and listen to understand. In this healing, we will connect inward to your Heart Chakra. We will guide you towards forgiveness, love, compassion, and understanding towards yourself and others. This Solar Plexus Chakra healing will connect you with your personal power. We will clear any energy blocks related to your self esteem, self confidence, and ability to show up powerfully as yourself. The Sacral Chakra is an energy vortex related to creation, sensuality, and receiving. Together, we will heal any past trauma stored within your womb and reproductive centers, while bringing in high vibrational energy to restore and renew. Most people have blockages within their Root Chakras, and this healing was created with that in mind. Fear and worry will be healed, along with concern for finances, your physical body, and being connected to the physical dimension. This PDF lists healing crystals, essential oils, and flower essences that resonate with each of the seven main Chakras. This guide shows specific healing crystal layouts for each of the 7 main Chakras, as well as a layout for grounding, and layout for balance between the Divine Masculine and Divine Feminine. In this meditation, we will go deep into the reason for your pain or sickness. If an issue is not addressed within the energy body, it will manifest as an illness or ailment within the physical body. Once we identify the reason, together we can send love and healing energy. *Information within this site is metaphysical in nature and is by no means medical. Energy Healing should only be used with the understanding that it is not an independent therapy, but one that is a part of a holistic healing approach. The information in this program does not substitute for the diagnosis and treatment of medical conditions by physicians or other qualified healthcare providers. Amethyst Luna Rose is a professional Intuitive Energy Healer and Spiritual Teacher, accredited with the World Metaphysical Association and the Accreditation Council of Holistic Healers. She has been featured on various publications, such as Sivana East and Energy Muse. "By clearing my own energy, I've manifested complete freedom from fear and anxiety. In doing this, I've manifested beautiful health, my loving soulmate, wonderful career opportunities, and our dream home... all with flow and ease. When you live in alignment, you become limitless." This program starts on April 22nd, 2018 - and never ends! It is a completely self-paced program. You decide when you start and finish. 2. I don't live in the U.S. - can I still join the program? Yes! This program is available internationally. Many currencies are accepted at check-out. 3. How long do I have access to the program? How does lifetime access sound? After joining, you'll have unlimited access to the program for as long as you'd like - across all devices you may own. I would never want you to be unhappy! If you are unsatisfied with your purchase, please contact us within the first 30 days and we will give you a full refund. Heal Your Energy. Heal Your Life. Information within this site is metaphysical in nature and is by no means medical. Energy Healing should only be used with the understanding that it is not an independent therapy, but one that is a part of a holistic healing approach. The information in this program does not substitute for the diagnosis and treatment of medical conditions by physicians or other qualified healthcare providers. *The success of Amethyst Luna Rose, testimonials and other examples used are not a guarantee that you or others will achieve the same results. Individual results will always vary and yours will depend on your ability to apply the program and mastering the karmic lessons your soul must learn.